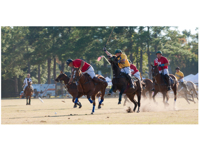 Experience the food, fun and fashion that is the 21st Polo for Charity event, Sunday, Oct. 12, at the historic Rose Hill Plantation in Bluffton. Gates open at noon, and the match begins at 2 p.m., so reserve your spot now for Bluffton’s largest picnic. 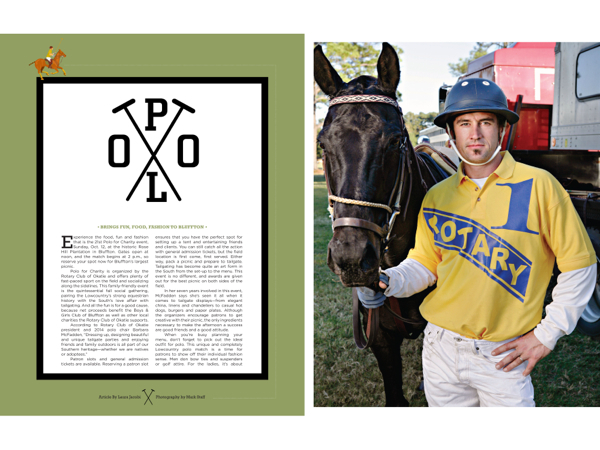 Polo for Charity is organized by the Rotary Club of Okatie and offers plenty of fast-paced sport on the field and socializing along the sidelines. This family-friendly event is the quintessential fall social gathering, pairing the Lowcountry’s strong equestrian history with the South’s love affair with tailgating. And all the fun is for a good cause, because net proceeds benefit the Boys & Girls Club of Bluffton as well as other local charities the Rotary Club of Okatie supports. Patron slots and general admission tickets are available. Reserving a patron slot ensures that you have the perfect spot for setting up a tent and entertaining friends and clients. You can still catch all the action with general admission tickets, but the field location is first come, first served. Either way, pack a picnic and prepare to tailgate. Tailgating has become quite an art form in the South from the set-up to the menu. This event is no different, and awards are given out for the best picnic on both sides of the field. In her seven years involved in this event, McFadden says she’s seen it all when it comes to tailgate displays—from elegant china, linens and chandeliers to casual hot dogs, burgers and paper plates. Although the organizers encourage patrons to get creative with their picnic, the only ingredients necessary to make the afternoon a success are good friends and a good attitude. 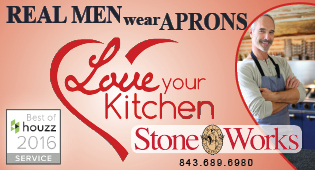 When you’re busy planning your menu, don’t forget to pick out the ideal outfit for polo. 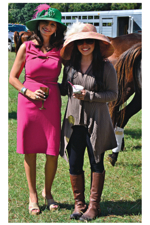 This unique and completely Lowcountry polo match is a time for patrons to show off their individual fashion sense. Men don bow ties and suspenders or golf attire. For the ladies, it’s about personal style. Some channel their inner Julia Roberts (Pretty Woman) wearing colorful dresses, while others opt for jeans and their most stylish pair of fall boots. during halftime patrons are asked to participate in the traditional stomping of the divots. keep this tradition in mind when choosing which pair of shoes to coordinate with the day’s outfit. According to McFadden, one of the favorite aspects of the afternoon is the tradition of polo itself, known as “the sport of kings.” The match is a fast-paced, upscale sporting event that displays the true athleticism of the players and horses, known as ponies. And although polo is thought of as a rich man’s sport, it is actually a fairly easy game to follow and one filled with fun traditions. All in attendance can embrace the history of the sport during halftime when patrons are asked to participate in the traditional stomping of the divots. This tradition not only serves a practical purpose of replacing the mounds of dirt (divots) torn up by the horses’ hooves, but gives spectators a chance to mingle and socialize. Remember to keep this tradition in mind when choosing which pair of shoes to coordinate with the day’s outfit. Another halftime treat is when the players and their horses visit with spectators along the sidelines. 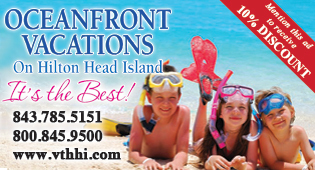 This is especially thrilling for the kids, making for the perfect family photo op. When the match is over, the adults can join the crowd in a champagne toast to the winning team. “My favorite part of the day is undoubtedly spending it with friends and knowing our day will make a significant difference for others,” McFadden said. The match is a fast-paced, upscale sporting event that displays the true athleticism of the players and horses, known as ponies. And although polo is thought of as a rich man’s sport, it is actually a fairly easy game to follow and one filled with fun traditions. The organizers try to depict the beauty and athleticism of the day’s star performers: the horses. They usually have a local artist translate the sport on canvas. This year’s poster and program cover features the striking, original painting, The Players, by local artist and horse enthusiast Kimberly Bisger. The Spring Island resident received her first pony at age six and has had a love affair with horses ever since. She has created three oil paintings for the Polo for Charity event. The Players, Bisger’s personal favorite, features two horses side-by-side; Match Day portrays a stately horse with the Rose Hill Mansion in the background; and The Athlete depicts a single horse with a polo mallet lying on the ground. All three pieces of art will be displayed at the event and available to purchase. Patrons can also watch the artist in action at the polo match as she creates a painting to be given as a door prize during the day’s activities. This year will also bring new entertainment to the afternoon’s events, with special performances by dancers from Move and Motion Studios on Hilton Head Island. The group will provide a choreographed show, featuring a diverse range of dance styles such as contemporary, modern, ballet and acrobatics. The show will also include multiple dramatic aerial acts performed on silk ribbons. Besides all the action on the field, guests will have an opportunity to browse and bid on the silent auction items during the day’s festivities. 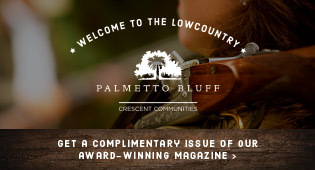 Rotarians say this fundraiser is unique because it’s an outdoor event, the only polo match in the Lowcountry, and open to the entire family. “Young and young at heart can enjoy this thrilling sport, good food, good friends and know that all the contributions will be used to better the lives of others,” McFadden said. Tickets are $20 at the gate on the day of the match or $15 per person in advance. Children under 12 are admitted free. 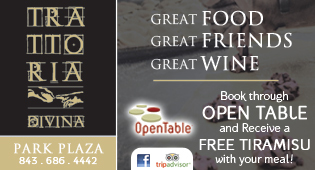 For more info, contact rotarypolo@hotmail.com or call (843) 298-3055 or (843) 686-4852. Advance tickets are available at BB&T bank locations, Markel’s and Coastal Home in Bluffton, and Atelier on Bay in Beaufort.